I learned while researching this blog topic of tadpoles that the ancient Egyptians used the image of a tadpole in their system of hieroglyphics. I thought it was pretty cool that the tadpole made it into the sacred carvings of this ancient culture. 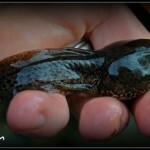 The image of a tadpole was drawn to represent the number and quantity of 100,000. I wondered why would a tadpole be used to represent this massive number? 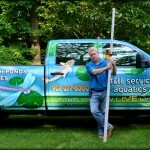 New Jersey pond designer Mike Gannon of Full Service Aquatics is seeking new koi pond, water feature, and water garden projects for the new season. 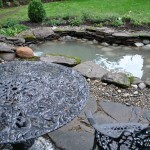 Are you considering a koi pond, water garden, or water feature for your New Jersey home or business? 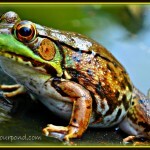 Let’s jump into the subject of frogs in the backyard water garden pond. 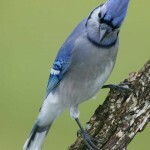 Many pond owners will find themselves hosting a frog or more that has somehow found its way into your pond. Pond predators! 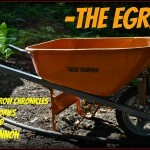 Herons and Egrets and Minks, oh my! Listen and join in for this episode of The POND HUNTER radio broadcast discussing the predators that prey on your backyard fish pond. They come from the air, from the land, even from the water! 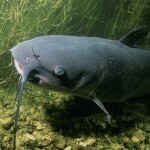 There is a pond predator lurking somewhere waiting to make a meal of your beloved watery pets. We all love koi ponds, water gardens, water features, and all things aquatic right? We are all pretty much aquatically obsessed! If you have found yourself “In The Pursuit Of All Things Aquatic”, then you gonna love this! Get ready to tune into an online streaming radio show created just for you and all who are aquatically obsessed! 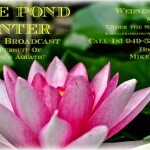 Announcing THE POND HUNTER RADIO SHOW! 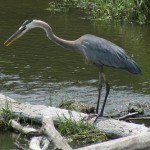 The activity levels of the Great Blue Herons in my area had slowed down. I went ahead and took off the netting that I keep on my pond while the herons are in heavy stalking mode. I unplugged the talk radio station I play by my pond when I’m not there, so the heron stays away from human voices by the pond. I stopped moving the fake (super way too fake doesn’t fool a real heron for a moment, but it makes ME feel good) plastic Blue Heron around my pond and gave it the final spot for the rest of the season. Ok, pond owners this is the time of year that we all have to start our vigilance and watch out for herons showing up at out pond. Late winter is always the time of year that the herons start making their patrols in search of that easy meal, of our beloved pets, from our ponds. We all get a bit complacent this time of year in checking our ponds but now is the time to start being a bit more aware of our ponds presence to local herons.